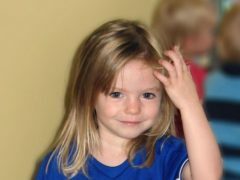 A Netflix documentary about Madeleine McCann will be released on Friday, the streaming service has confirmed, saying it will be a “detailed look” at the disappearance of the three-year-old. More than a thousand firefighters supported by 19 aircraft have been battling a major wildfire in southern Portugal for a fifth straight day. Tourists heading to southwestern Europe are being warned to take extra care as record-breaking temperatures are predicted for later this week. Dundee insist defender Steven Caulker was sent home early from their Portugal training camp for a scan on an ankle injury despite reports he breached club discipline. Dundee finished their pre-season trip to Portugal in defeat, going down 3-2 in a bruising encounter with SC Farense in the Algarve. The handful of Dundee supporters who made the long trip to Albufeira to see their team in action got a glimpse of the threat new striker Jean Mendy brings, according to manager Neil McCann. Neil McCann has “plenty to work on” after his Dundee side came out on the wrong side of their training game in Albufeira – but insists fans shouldn’t worry too much about the 4-0 scoreline. One of the main reasons Neil McCann is taking Dundee to Portugal is team bonding. Dundee boss Neil McCann is still deciding whether he’ll use the pre-season trip to Portugal to have an extended look at the three trialists he used in Monday night’s friendly win over Cowdenbeath. The bust of Cristiano Ronaldo at Madeira Airport which gained cult popularity has been replaced. Dundee boss Neil McCann is looking to trim his squad ahead of their pre-season trip to Portugal next month. Dundee will jet off to the Algarve for a pre-season trip - as well as playing a Portuguese team. A teenager behind a viral video showing English holidaymakers tipping a Dundee woman out of a sun lounger has spoken about the build up to the incident. Many things can start a journey that leads to a new relationship — a shared interest, eyes meeting in a crowded room or a chance encounter on a night out. A father-of-five has died at the age of 40 after collapsing as he put his toddler son to bed. British detectives working on the Madeleine McCann case are still pursuing "critical" leads as the 10th anniversary of her disappearance approaches, a Scotland Yard chief has said. We’ve seen some absurd refereeing decisions lately, but nothing rivals this bizarre sending-off in Portugal. Police have seized the phone of a Tayside man who disappeared two years ago in Portugal, as they bid to find more clues as to his whereabouts. Watching your team lose in a major final is never easy but as an memorable Euro 2016 came to its conclusion last night, it was French heartbreak which led to one of the most heartwarming moments of the competition.